In Docusnap, the physical infrastructure can be completely captured and mapped true to the original. 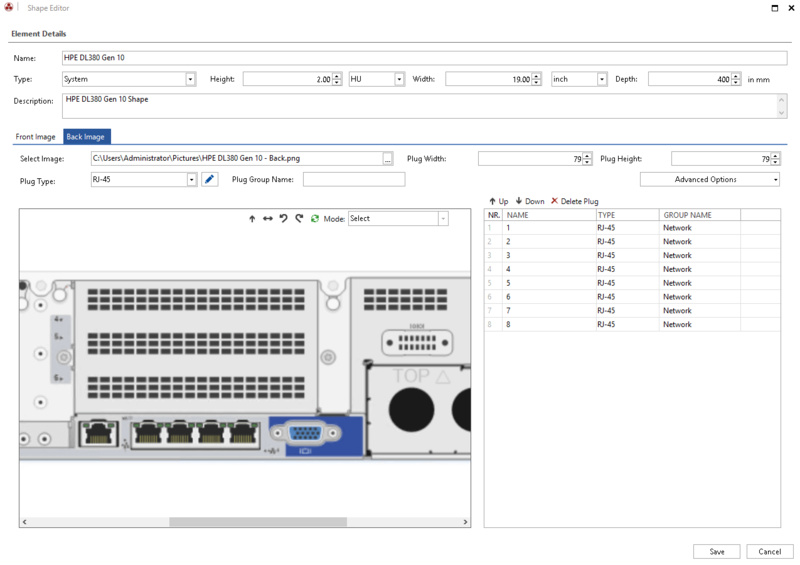 With the help of the infrastructure editor, locations, assets, IT hardware and their cabling are created, managed and graphically represented in plans. 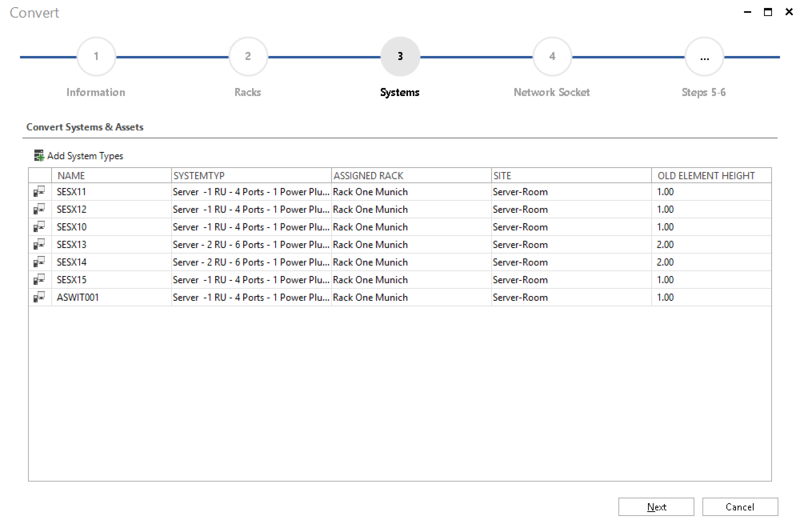 The passive network components can also be documented. A powerful wizard also makes it easy to import existing documentation. In Docusnap, locations like cities, buildings and rooms can be recorded and structured as required. It is then possible to place IT hardware (e.g. racks, workstations) and assets (e.g. extinguishing systems, access systems) in these locations. The racks are additionally equipped with various hardware components. It is irrelevant whether these components are automatically inventoried or manually created. 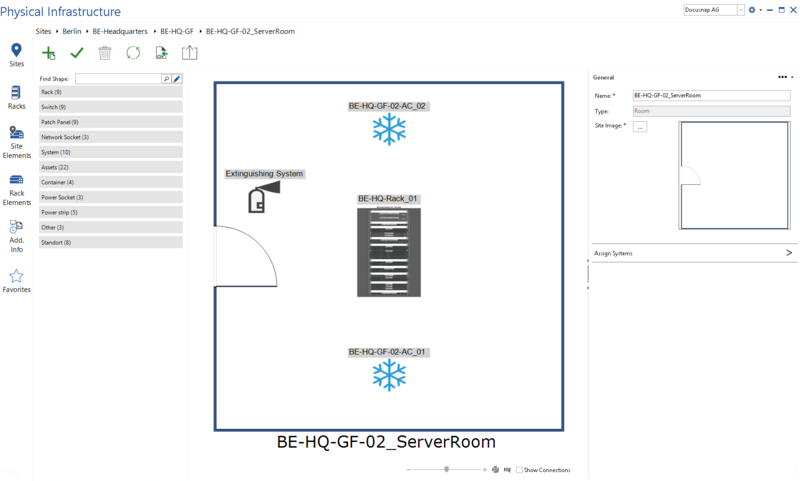 The arrangement is visualized graphically and can either be output in a plan or exported to Visio. With Docusnap, the physical infrastructure can be represented true to the original: own photos are just as possible as countless shapes for various connector, cable and element types. Everything else is automatically supplemented by Docusnap's agent-free inventory. 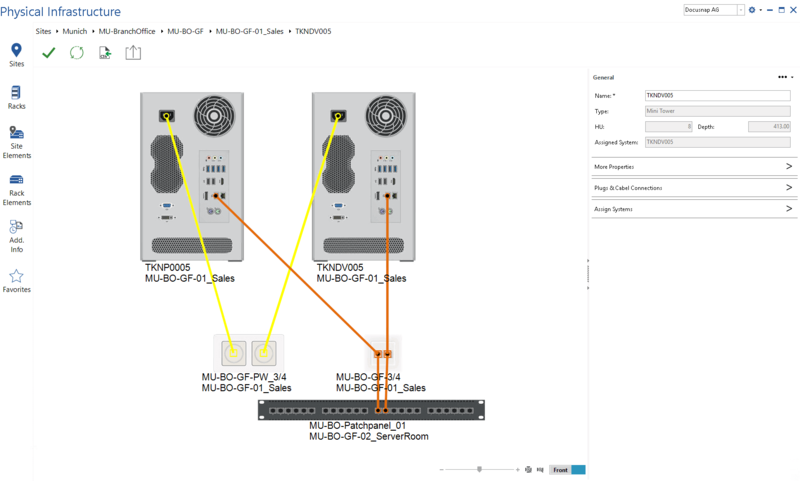 Docusnap offers the possibility to manually record passive cabling components (e.g. patch panels, network sockets) and integrate them into the IT documentation. For this purpose, IT systems are assigned to the various ports of the patch panels and network sockets. Additional information such as cable types and colours can also be defined. By documenting the passive cabling, it is possible to map the connection between two systems at port level. Docusnap offers a very high degree of automation in order to save manual effort and thus time in everyday work. 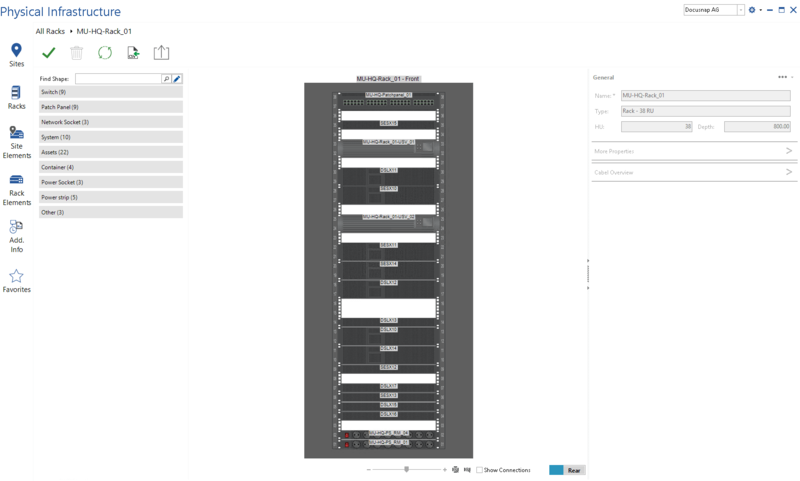 An intelligent import wizard maps existing structures in Docusnap. It is also possible to import larger amounts of data conveniently using CSV Import.